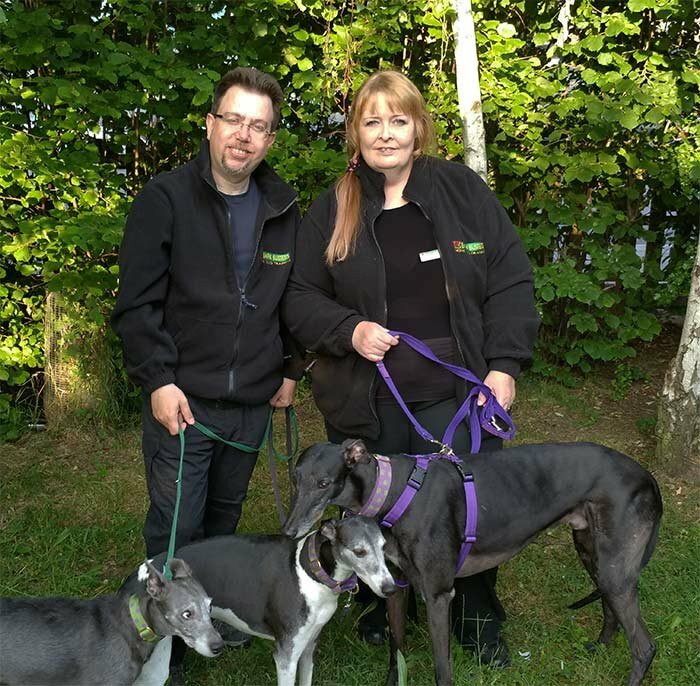 Hello, our names are Jo and Graham and we are your local dog behaviour therapists of Bark Busters Home Dog Training Chelmsford, Brentwood & Billericay. 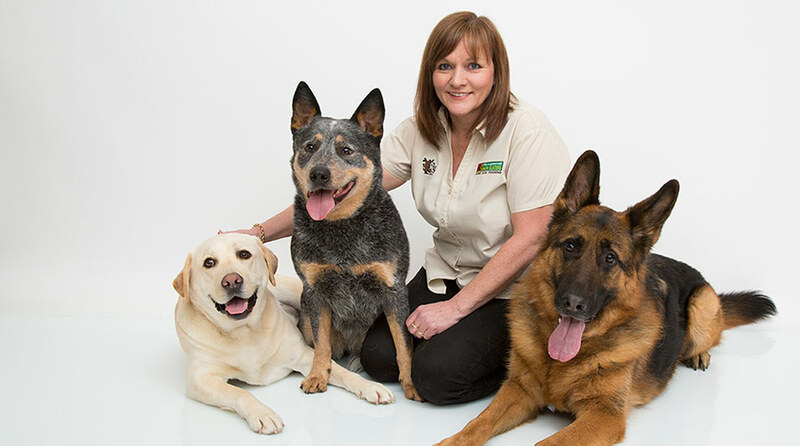 I have been working as a dog trainer and behaviour therapist for many years in your area. Graham has had several years of dog handling experience helping me work with reactive dogs at workshops I run on a farm near Stock and has recently joined Bark Busters as a qualified trainer in his own right. We are proud to say that this year was the fourth time Graham and I ran a fun dog show at the All About Dogs Show at Brentwood to raise money for local dog charities. Either myself or Graham will visit your home and assess the situation by talking to you and observing what is going on with you and your dog or dogs. Neither of us will be judgemental nor will tell you off in any way. We will discuss what we think is happening and agree a training plan with you. We will then work together to put your plan into action and you will carry on with the plan, with whichever trainer you choose supporting and guiding you as necessary. This includes follow up visits with phone and email support for a whole year after your first visit. For puppies we get you off to the best start possible with the reassurance that we will always be there to answer all those little questions that always crop up with puppies as they grow. I have always been what my friends and family call a "doggie person" so in addition to many years of dog behaviour and training experience, I have hands on experience of doing the job myself. Over the years I have taken ownership of a lot of unwanted dogs, who all came with their own doggie baggage. Bobby a mongrel who was badly attacked in a park and then went onto try an attack any other dog he met after. Zak, a beautiful German Shepherd who I couldn’t walk at first he pulled so hard on the lead. He had terrible separation anxiety and destroyed my furniture when we first had him. Russ was a very elderly mongrel, who had a benign brain tumour and wobbled all over the place. Jason a 10 year old miniature poodle who narrowly missed being put down when his owner died and nobody wanted him. He also had separation anxiety and barked and whined at the door constantly when I went out. He wasn’t very friendly at first and sat on my lap growling at everyone and anyone who came near. I thought I had taken more on than I could handle with him, but with a bit of hard work he became a happy dog loved by my whole family. I did decide that I wanted a puppy at least once chose a Yorkshire Terrier. He was a delight to train, but sadly he had a serious medical condition which meant he couldn't deal with any stress and would toilet in the house. Vets told me that I hadn’t toilet trained him properly and this experience means that I am always look at possible medical reasons for problem behaviour. At the moment Graham and I are lucky enough to have 3 dogs. I had a Whippet/Terrier cross girl who I named Lottie when we first met. She had been a working dog killing rats and rabbits until she had a serious accident when she was 7 and was then too slow to do her job. She had lots of problems the worst of which was growling and nipping people if they tried to stop her stealing food. She would also chase squirrels and cats with absolute determination and nothing would stop her when she was in “prey” mode. She also didn’t like some dogs and would sometimes charge at the dogs to drive them away. I got all of this sorted, but now she is losing her sight so gets disorientated and runs at speed in the wrong direction and as she is going deaf we can’t call her. After a few scary incidents we have trained her to stay close and walks are no longer stressful. I became a Bark Busters Trainer because of personal experience. My sister’s dog was a lovely, friendly and obedient dog, but from the time my nephew started to crawl he would occasionally growl at him. One day he came too close to my nephew who was then 15 months old. He grabbed his face and Ouzo nipped him. At that moment our world turned upside down. Everybody told my sister and brother-in-law to get rid of him because once a dog has bitten he will bite again. Fortunately they recognised that they needed help and called in Bark Busters. The Bark Busters Therapist came to see us all and we were given a simple programme to follow. From the first visit he was a changed dog. The fretful, growling dog around my nephew was gone. At the time my sister gave feedback saying "immediate and remarkable results...truly fantastic". For me, it proved to be a life changing moment. This is what I wanted to do! I realised that people did not have tolerate their dogs probelms or try to resolve it themselves. Even if it was a truly difficult problem, a dog could be helped by following proven and practical methods. Hello, my name is Graham and I love working in and around Brentwood, Chelmsford and Billericay. The people are so friendly and generous and the dogs are great fun. As Jo mentioned above, we have a great time at the All about Dogs Show every may and local people have helped us to raise a ton of money for local dog charities. Jo and I don’t just explain to our clients what they should be doing - we do it ourselves. For example, my Whippet, Smudge, used to suffer terribly from separation anxiety. I made very elaborate arrangements so he was never left on his own because he would howl pitifully and pee everywhere when he was. I then met my wife and learned some techniques that we were able to use to help Smudge overcome his fear of being left behind. Now he almost waves us goodbye in the morning! Next up, Jo was able to help me to come to terms with our little Lurcher, Lottie, who was a very high energy dog and did a great job of pestering me for attention which she didn’t do to Jo! It took me some time to learn that the terrier side of her nature needed stimulation as well as the Whippet side needing the opportunity to run (which was essential for my Whippet Smudge) and that she will happily settle once she had “killed” a few of her soft toys with my help. Finally, we have a Greyhound called Angus. Most Greyhounds are laid back couch potatoes but Angus was truly grumpy. He growled if anyone came near his bed when sleeping and wandered around the house whining. He wouldn’t come when called, ran up and down the garden barking loudly and was aggressive with larger dogs. He had been stuck in a rescue for nearly six months as nobody wanted him so my wife persuaded me that he would be the perfect for us and a year on we have a beautiful dog who is a joy to live with. He is not perfect as big dogs still un-nerve him (which seems strange as he is a huge dog himself), but he looks to us now for guidance and to protect him rather than going into “attack first and ask questions later” mode. Really pleased. Lots of advice and tips. Immediate results and making our lives a lot easier. Still have some work to go but 100% better.